Dr. Hercules Real received his Masters in Aesthetic Dentistry and Certificate in Practical Occlusion for Esthetics and Function from the University of California, School of Dentistry in Los Angeles. This Post Doctoral Degree adds a higher level of dental proficiency to his practice and allows him to use the latest techniques that dentistry has to offer. He received his DMD Degree in 1997 from the Centro Escolar University. Dr. Real currently serves as Delegate to the California Dental Association. Of particular pride is being named the recipient of America’s Top Dentist in 2009 by the Consumer’s Research Council of America. In his most recent endeavor to extend the best quality of dental services, Dr. Real introduced an orthodontic program into his practice with traditional braces and Invisalign. Additionally, the array of cosmetic dentistry available in his practice runs the gamut from Zoom Teeth-Whitening to Lumineers and Veneers. Dr. Real began his career in dentistry in Orange County in 1997. 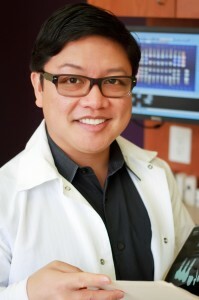 He established his own practice in 2003 in Fullerton. Dr. Real has also completed over 1,900 hours of continuing and advanced dental education during the last 10 years of his career.